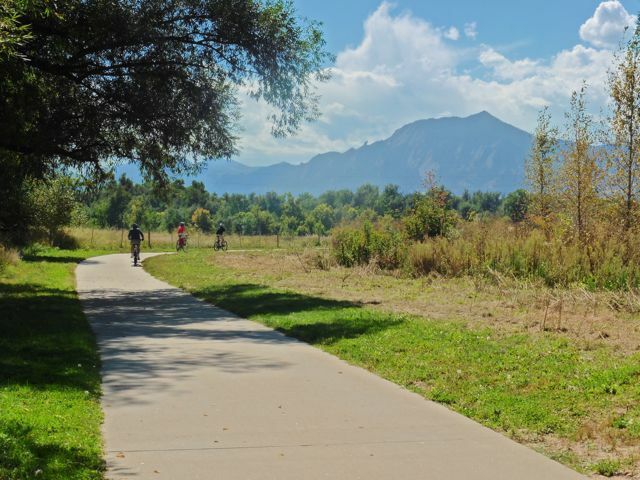 Home of the University of Colorado and the Buffalos, Boulder has grown into its own as an ultra popular place to live with a progressive slant and with one of the best bicycle infrastructures in the US. 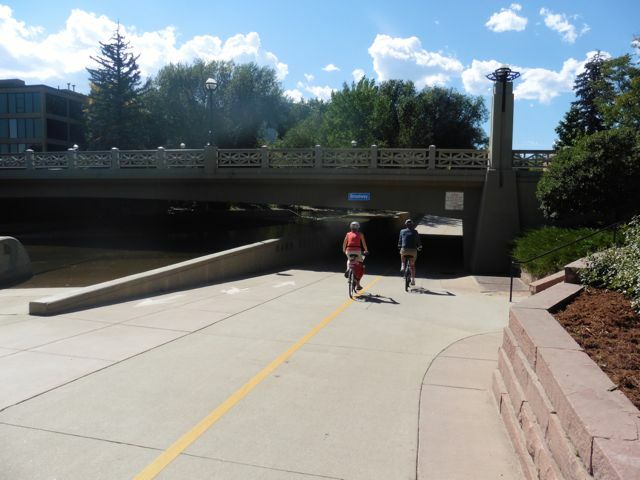 Although automobile traffic has become an issue here, a series of bike trails connect various points of the city, most complete with underpasses to enable seamless cycling away from the roadways. 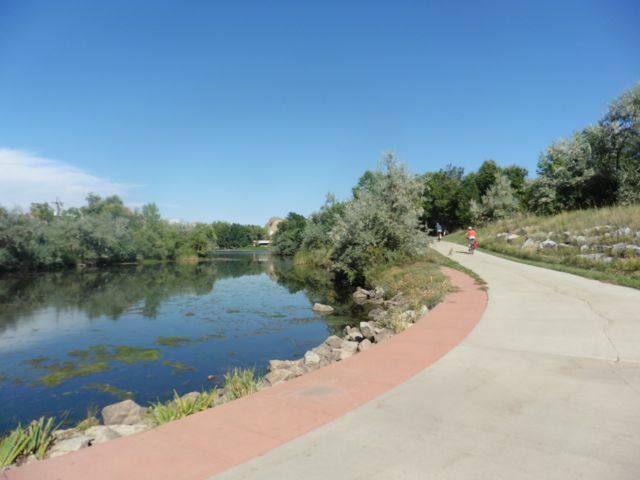 The highlight is the great Boulder Creek Trail, that follows Boulder Creek from beautiful Boulder Canyon west of town, through a scenic stretch of greenbelts, the exciting downtown district, and out into the city’s eastern districts. Connecting trails take the rider to many of the city’s features. It is a great Bike ‘n Brunch ride than can result in between 10 to 25 miles of easy scenic cycling. The Rockies are prominent on the trail heading west. Lake along the South Boulder Creek Trail. 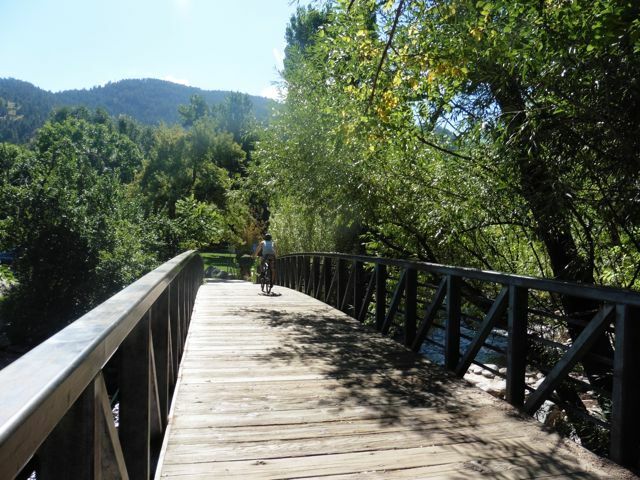 Many scenic bridges cross back and forth across pretty Boulder Creek. Underpasses such as this one downtown make riding an uninterrupted delight. 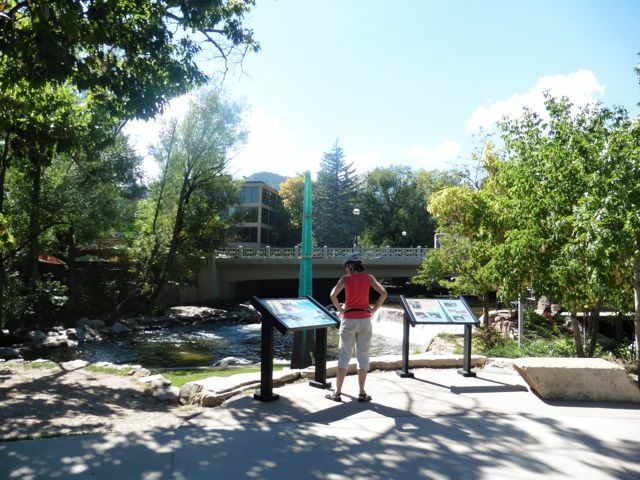 Historic Pearl Street and plenty of dining options await downtown. 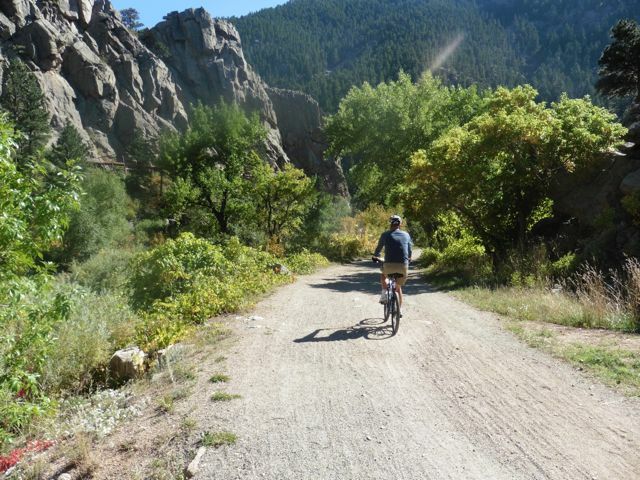 The trail through beautiful Boulder Canyon turns to gravel about 1 mile up. Pausing downtown at the flood display. The green monument shows various levels of historic floods.